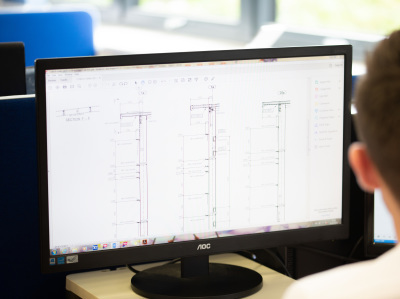 Once a project is awarded we liaise with our customers design team providing firstly foundation loads, main section sizes and then follow with a full design. All our designs are carried out in house by our team of highly skilled and innovative designers. Knowledge is wide varied, and when coupled with the use of our computer software, we prove to be a powerful team. Working on all communication fronts with other subcontractors, design teams, CDM and planners we quickly produce designs and drawings for both information and acceptance. At this early stage the design takes into account safe manufacture and includes provision for the safe erection and buildability on site. To produce drawings we use an in house 2D system, being easily electronically transferred and edited, which means there is no waiting for 3D models. 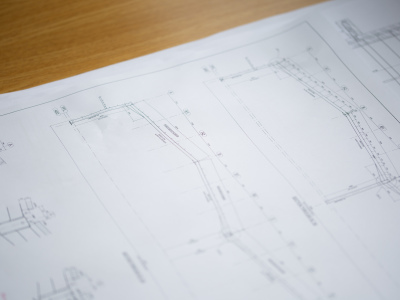 General arrangement drawings are carried out first to establish a buildable structure which takes into account the design brief and other relevant disciplines. Once the process of Design development has been carried out we then begin the process of detailing for manufacture. 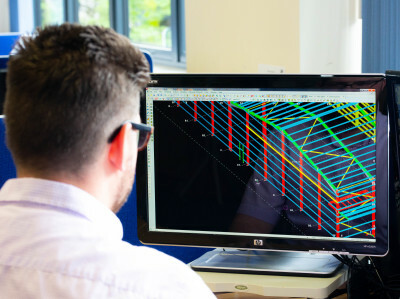 To do this we use the most modern 3D computer detailing system, which downloads directly to computer controlled fabrication equipment, material procurement and shipping scheduler.